Writing instruction isn't one-size-fits all. It can be challenging to find resources that meet each student where he is at. TeacherVision advisory board member, Jeanne, has created two sets of scaffolded graphic organizers, so your students receive differentiated writing instruction. Writing is a multi-step process, and requires time and patience. I don’t believe that writing is a talent that students have or lack, but that writing is a skill that can be taught and developed with practice. Because writing abilities vary greatly from student-to-student, having scaffolds ready and available ensures that you are meeting the student where he is at, and providing a graphic organizer that is appropriate for that student, rather than one-size-fits all. TeacherVision advisory board member, Jeanne, has created two sets of graphic organizers, one for argumentative writing, and the other for writing narratives. Below, Jeanne describes each organizer, and includes teaching tips for implementation. 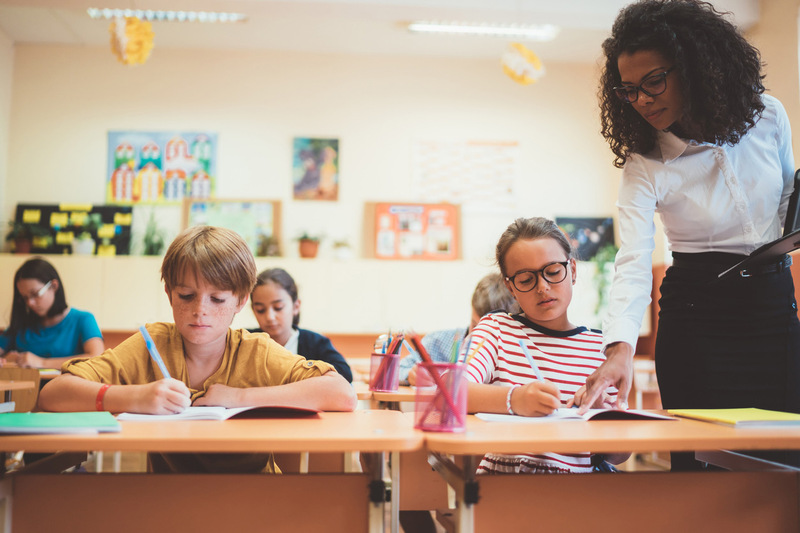 All three organizers can be used in the same class--with either you can assign different organizers to different students per their needs, or students can choose an outline for themselves based on their learning preferences and writing challenges. You can also use these organizers as a checkpoint in writing, or as an assessment for student understanding of each argumentative element. Use this essay outline template for students who either do not need much support in writing a comprehensive argumentative essay and need only to jot down ideas, or students who should just focus on Claim-Reason-Evidence for this round as a scaffolded step. The claim should be an opinion or something that other people could reasonably disagree with. Reasons should each be different ideas that supports their claim, and evidence should be facts, either found through research or commonly known. This outline is similar to the Basic outline, but pushes students to explain what their evidence proves or suggests (reasoning). It also pushes them one step further to preview their points in their claim. Use this outline for students who need to organize their thinking and improve flow in their argument, or for students to brainstorm and outline their essay. It can also be used for ELL students, as the sentence stems can be very helpful in constructing their sentences. This outline is also especially useful for students who are struggling to add reasoning to their writing. This is an outline for more advanced students who could benefit from the push to add more evidence for each reason and more thoroughly explain how their evidence supports their claim. It also includes a paragraph for the counterargument, which you could have students teach themselves from this outline or include as part of your counterargument lesson. Planning Internal and External Details Use this organizer to help students brainstorm a variety of different types of details: actions, dialogue, thoughts, and emotions. One of the Common Core standards for Writing requires students to include a variety of details, and this organizer can help get them thinking broader for their stories. Use it before students draft or during the drafting and revising process. This organizer can also be used before or during the drafting process in order to broaden the variety of student evidence. It focuses on sensory details and forces students to visualize each scene of their narrative through drawing out their scene, and then listing sensory details they can imagine for it. Make sure to model using the organizer to give ideas for your own writing, and your students are sure to include beautiful descriptions in their own narratives. This graphic organizer can be used with any mentor or example texts you use in the classroom. It can be difficult for students to understand how to think about gaining ideas for writing techniques from example texts, but the guiding questions on this organizer ("What did you like, and how could you do something similar?") can help break down the process for them. This organizer is a great tool for teaching students to put their writing goals in their own hands. Here are some additional resources for teaching writing: Writing Conferences, Writing Aloud, and Writing Workshop. How do you differentiate writing instruction? Share with us on Instagram, Facebook, Twitter, Pinterest, and Google+. Jeanne taught middle school writing and AVID in Champaign, Illinois for four years, in addition to serving as ELA Department Chair. Currently, she teaches ESL, develops curriculum, and coaches new teachers. When she’s not teaching or supporting teachers, she loves to travel and learn new languages. Passionate about promoting self-care, Jeanne writes the TeacherFit blog posts for TeacherVision. Julie Mason is the Head of Content and Curriculum for TeacherVision. She brings over ten years of expertise in blended and personalized learning, instructional coaching, and curriculum design to the role. She was a middle and high school English teacher for eight years .She was a blended and personalized learning instructional coach for K-12 teachers at BetterLesson for two years, and she has presented at The National Principals Conference, ISTE, and ASCD where she shared her expertised on how instructional coaching builds teacher capacity in K-12 schools. She has extensive experience designing and facilitating professional development for teachers, and she oversees the TeacherVision advisory board.